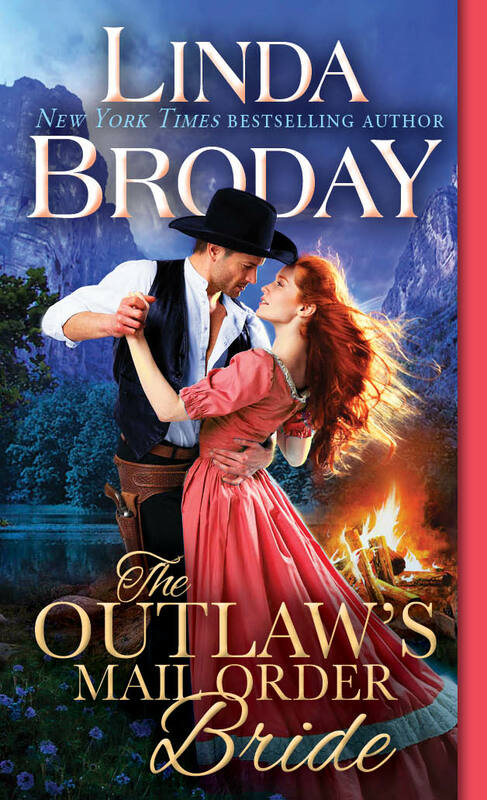 Christmas and New Year are over and I’m so excited to launch The Outlaw’s Mail Order Bride on Jan. 29th! This begins a new 4 book series called Outlaw Mail Order Brides. Can you imagine a town full of nothing but outlaws? Can you imagine that a woman with no place to turn would find safety and security with these men? I can answer both of these questions with a resounding yes. Clay Colby (you first met him in The Heart of a Texas Cowboy) is bone-weary of running, hiding. He yearns with every part of his being to settle down with a wife and have a family. He wants to be normal. So he decides to build a town on the site of an old hideout in the Texas Panhandle called Devil’s Crossing. While he builds, he begins writing Tally Shannon. She and a group of women are hiding out in Deliverance Canyon after escaping the Creedmore Lunatic Asylum. They’ve been branded and now hunted like animals. Tally and these women first make an appearance at the end of Men of Legend Book 1 – To Love a Texas Ranger. Outlaw Luke Legend had been looking out for them and providing food, clothing, and medicine then slowly his brother, Sam, took over. So this series is a spin-off of Men of Legend and Luke opens his private bride service for men and women who can’t advertise for mates the normal way. Tally is tired of living in the shadows and wants more for herself and her band of fugitives. For once she wants to know what it’s like to have someone care for her—to have strong arms around her, to be safe. After much thought, she agrees to marry Clay and help him build his town that she later renames Hope’s Crossing. Yet, their marriage isn’t easy. She finds it very difficult to trust Clay, to trust any man for that matter and friction develops. I’ve thought a lot about the line between outlaws and lawmen on the American Frontier and find that it was often blurred. A man could be a sheriff or U.S. Marshal one day and a fugitive outlaw the next, depending on the circumstances. He could also be an outlaw and move right into a lawman job. The American Frontier was comprised of millions upon millions of acres of raw land and there were no laws, no courts, and little or no government. The only lawmen were forced to cover huge sections and there was no way they could. The law was often only what a man could find for himself. The quickness of his gun determined the outcome. To get an idea of what I’m talking about, consider this: A man is minding his own business and taking care of his family when someone rides up and shoots his wife and children. He catches the murderer and kills him. He’s branded an outlaw and puts him on the run. Then maybe one of the railroad or cattle towns need help to curb the lawlessness so they hire the man. He goes from outlaw to lawman. And vice versa. There are plenty of real life examples. That’s what Clay and his friends are. Sure, they’ve killed but they’ve killed for the right reasons. They were the law where there was none only now they want to give up their role. If you’ve read an early copy of the book, tell me your favorite part or favorite character. Or talk about outlaws. What is your view? In my latest book, due out December 15, a drunken young man breaks into the heroine’s house, eager to give her a jewelry box he bought for her. All my Thalia knows is that a man has broken into her home, and why would he do that unless he meant her harm? She retaliates by beating him with a baluster. In the melee, he drops the gift he’d brought her and quickly leaves. The next day, Thalia finds this present, a small bronze-like metal jewelry box. It isn’t until later that she learns who her invader was and that he was the one who left the little box behind. Egypt was the birthplace of jewelry boxes. The styles and decorations on these boxes take many forms, some simple, some extremely elaborate. Traditionally speaking, any receptacle whose purpose is to contain jewelry and precious items associated with jewelry can be considered a jewelry box. No matter which term you use; jewelry box, jewelry casket or trinket box—all have the same use, and only differ in size and form. During the Victorian era (1873-1901), jewelry boxes became a craze. Such boxes sometimes displayed small beautiful sculptures of children, flowers, animals, etc. They became popular when purchasing accessories rose up and fulfilled the tabletops of houses during that time. Some boxes were also decorated with illustrations of Kate Greenaway. Some jewelry boxes were designed to commemorate a specific event or era. For example, at the World’s Fair in 1904, there is a variety of goods on offer including jewelry boxes. For the owners, the box may not have a big value. Meanwhile, in the collectors’ eyes, the boxes were valuable but many jewelry boxes ended up in the attic or basement. Collecting antique jewelry boxes has become a popular hobby today. In the early 1900s, Art Nouveau was introduced in France and a madness over metal jewelry box began. These boxes were called coffins and were produced in large quantity. They were made of cast metal and given finishing touches such as gold, silver, or ivory. The ivory box was made by painting it so it tended to be more durable than other types of metal. The motifs that decorated them include flowers, birds, and a woman with her hair flowing like waves. Flower boxes were capitalized on the trend of Victoria and every kind of flower drawn implied a certain meaning. Originally, jewelry boxes resembled treasure chests, hence the term ‘jewelry casket’. These were usually larger boxes, which would be considered slightly smaller than a chest, and were usually footed. The Egyptians preferred gold jewelry often encrusted with precious gems and as such, a secure, yet often well decorated box or casket was required to keep such items safe. In Rome, jewelry was a status symbol, with only certain ranks permitted to wear rings for example. Fine brooches were used to secure items of clothing, and again, jewelry boxes were required for storage. Until the Victorian era, owning jewelry was a rare luxury, and to have enough to need storage for it was a privilege bestowed upon only a few members of royalty and high society. Fine jewelry became more affordable to the mass market after the industrial revolution, due to the reduction in cost once machine cutting of stones and metal was possible. Jewelry boxes and caskets therefore became smaller, due to the necessity for more middle-class families to have in their homes, while only containing very few pieces of jewelry. Trinket boxes were also common in Victorian households full of collectables and pieces of interest. These were much smaller than traditional jewelry boxes, accommodating smaller items such as rings— and much fewer of them than is typical today. At the turn of the 20th century, novelty jewelry boxes enjoyed popularity. This was due to the Victorian’s interest in filling their homes with decorative items of interest and intrigue, rather than simply owning that which was practical and necessary for daily life. Novelty boxes were created to look as though they are a statue or are in the form of something else— such as an Edwardian jewelry box created in the form of a miniature 18th century card table. The variety of styles and sizes of antique silver jewelry boxes mean that any taste can be catered to—everything from minimal clean lines or ornate floral decoration are available on our site, depending on the personal taste of the owner and their home décor. Antique and vintage jewelry boxes are timeless gifts that take pride of place in any home, and that are appreciated by all jewelry lovers and collectors. How about you? What kind of jewelry box do you have or maybe none at all? This is #7 of the Widows of Wildcat Ridge series. Up next is Eleanora by Pam Crooks. When I was growing up in the 50’s and 60’s, my favorite things to play with (when I wasn’t reading a book) were dolls. I liked the limp kind that seemed like a real baby, where the arms and legs flopped around. The more realistic the better, especially the ones that had eyes that closed when you laid her down. And one year my sister Jan got one that actually wet and you had to change her diapers. I was kinda envious, although I liked mine too. 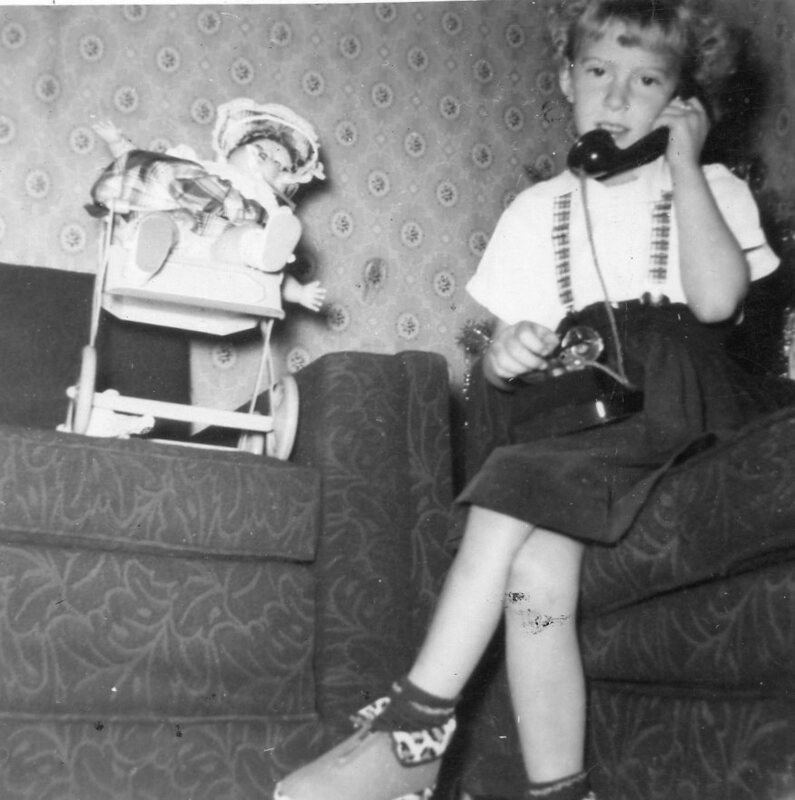 When I was growing up in the 50’s and 60’s, my favorite things to play with (when I wasn’t reading a book) were dolls. I liked the limp kind that seemed like a real baby, where the arms and legs flopped around. The more realistic the better, especially the ones that had eyes that closed when you laid her down. And one year my sister, Jan, got one that actually wet and you had to change her diapers. I was kinda envious, although I liked mine too. If I recall, she was really pretty and a lot limper than Jan’s. Then, when I got around eight or nine years old we became obsessed with paper dolls. I’ve talked about this before. We’d patiently cut out their clothes that hooked on with paper tabs and dress them up. We’d make up stories and have the cardboard dolls act them out. We spent umpteen hours on end playing with them and I do think that’s where I developed a lot of my talent for writing fiction. Back in frontier days there was little time for playing. Children of a young age on up had chores to do. Older children had to help get crops in and care for the animals as well as look after younger siblings. There were no shirkers when it came to living on a homestead. Every hand counted. Even school was closed when children were needed on the farm at harvest time. But despite the work load, kids occasionally found a little time for play. Frontier children were limited when it came to toys, but they were very resourceful. And sometimes it was the parents who showed great creativity. Mothers would make their little girls rag dolls out of whatever material they had available. Usually they had yarn for hair and nothing but stitching for eyes, mouths and noses. For toddlers, mothers strung thread spools on heavy string (only they weren’t colorful like these in the picture) or they handed their children a pan and a spoon and let them go. I did that too when my kids were little and they loved it. Or a cardboard box. The simplest things held fascination. Fathers carved toys for their sons and made tops, horses, spinning tops, drums, wagons, whirligigs out of string and a piece of metal. Whirligigs made some type of whirring noise when they were whirled really fast. Fathers also made cup and ball toys that had the ball attached to a string. The object was to flip the ball into the cup. If they had money to spare, parents would buy their son a bag of marbles. That kept the boys entertained for long periods of time and became treasured possessions. There were also little tin soldiers for a price unless the father figured out how to make them on a forge out of leftover metal. Boys also whiled away many an hour playing with a barrel hoop and a stick. It was versatile. It was a game that could be played by one boy or a dozen. If it involved a group of boys, they usually spit up into teams and tried to get the hoop away from the others. I’m sure they had some kind of goal to reach to score points. Or boys could race the hoops if they had several. Boys also played mumblety-peg and had yoyos. All children loved playing the many variations of chase games. Baseball didn’t come along until around the turn of the century. Native American children had similar toys and games. The girls had dolls and the boys had stick games to play. Can you imagine the children today having nothing to play with except these primitive toys? I swear, they wouldn’t know what to do without their high tech Xboxes, tablets and phones! On the news recently, I saw a segment about parents having to put their kids in rehab to wean them off of one game called Fortnite because it’s so addictive. I worry about kids today. What are they going to grow up to be like? Will they think they’re living in a game and that nothing is permanent? So much death and violence too. But that’s off the subject. My gifts are bought and I’m done. And I’m below my budget so I’m proud of myself. How about you? No place was lonelier for settlers during Christmas than the frontier. They were far from home and family. Everything they knew they left back East. The wind howled, temperatures were freezing, and they were hard put just to stay alive. The days were long and filled with hard work. There was little enjoyment to be had. Christmas was the worst time for depression to set in. They missed their loved ones back East and friends they’d left. The smart ones threw themselves into work to keep their minds occupied. There were certainly few trees in the plains and northern Texas so they had to make do with whatever they could find. Some mothers were so desperate for Christmas cheer they got a tumbleweed (which were very plentiful) and decorated it in brightly colored paper, ribbons, and whatever else they could find. Candles were not allowed near due to the combustible nature of the dry bush. Others chopped down other trees like scrub oak, juniper, or blackjack and used those. These settlers were very resourceful. To make it appear it had snowed on the tree, they wrapped the limbs and twigs with cotton. Other decorations were popcorn and cranberries they strung on twine and strings of paper hearts. The children could also use the foil that separated layers of cigars and make icicles to hang on the tree. That is if their fathers smoked cigars and they could persuade him to save them. I’m sure there were many other things they made decorations out of. Possibilities were endless, including bird nests, colorful ribbon and empty spools of thread strung together. School age children usually had a Christmas program of some kind and they got a chance to sing or perform in a play. Those were fun occasions. Food was an important part of the Christmas celebration and sugar was saved for months so there would be enough for the cakes and pies. Oranges were a real treat and kids only got one if any at the holiday. Fathers and teenage sons usually went hunting for a turkey, a duck, or whatever game they ran across. Gifts were homemade unless the family was very wealthy. Fathers carved toys, mothers made dolls and knitted scarves, hats, and gloves. Everything was simple with the emphasis on the celebration of the birth of Jesus. Personally, I wish we could go back to these days without all the commercialization. Tell me about a Christmas of yours that stands out and what made it really special. Mine was the year my dad suffered third degree burns over much of his body in an explosion at his job on a construction site. He was in the hospital for months and we didn’t know when he’d get out. Back then, kids weren’t allowed beyond the waiting room so Jan and I couldn’t see him. My mom usually sat with him at night and our older sister came and stayed with us while she was gone, so our door would be locked. I was so afraid Santa couldn’t get in and we wouldn’t get any presents. My older sister told me he could come through the keyhole and not to worry about that. The next morning, sure enough, we had gifts even though we had no tree. And Mama had brought Daddy home from the hospital. That was the best Christmas I can remember because we were all together again. Growing up, we never had a tree except for one year–the year my brother came home on leave from the Army. I was fifteen and I remember how excited I was to have him home and to have a tree like everybody else. Here’s a picture of me taken on Christmas morning, skinned knee and all. I must’ve been eight or nine. Thank goodness for the men and women who kept a written record of their struggles and sacrifice as they journeyed West. I don’t know about you, but I find it interesting reading. I want to know what they went through and picture their lives in my head. These diary entries are of women on the various trails that led West. The following notations are by Lydia Allen Rudd. She was traveling to Oregon with her husband Harry. May 7…I found myself this morning with a severe headache from the effects of yesterday’s rain. There was a toll bridge across the stream kept by the Indians. The toll for our team in total was six bits. We have had some calls this evening from the Indians and we gave them something to eat and they left. Some of them wore no shirt, only a blanket, while others were ornamented with faces painted and feathers. They were armed with rifles and spears. May 14…Just after starting this morning we passed four men digging a grave. The man that had died was taken sick yesterday of cholera about noon and died last night. The corpse lay on the ground a few feet away. It was a sad sight. Then we passed three more graves this afternoon. October 27…We have reached Burlington. There is no house we can get to winter in. I expect that we shall not make a claim after all our trouble getting here. I shall have to be poor and dependent on a man my lifetime. Another woman—Amelia Stewart Knight – is traveling with her husband and seven children and she’s pregnant with her eighth which she delivers by the roadside just before reaching Oregon. She mentions how the Indians along with way are much-needed guides and helpful in telling the men where to hunt. May 17…We had a dreadful storm of rain and hail last night and very sharp lightning that killed one man and two oxen. The wind was so high I thought it would tear the wagon to pieces. Nothing but the stoutest canvas could stand it. The rain beat into the wagons so that everything was drenched. The wind blew hard all night and we woke surrounded by water and our saddles have been soaking in it all night and are almost ruined. Sept 5…Passed a sleepless night as a good many of the Indians camped around us were drunk and noisy and kept up a continual racket which made all our hands uneasy and kept our poor dog on watch. Doubtless they would’ve done some mischief if not for him. These diaries are so fascinating and offer so many pictures of what it must’ve been like. To say it was difficult is an understatement. I don’t know if I’d had what it took to keep going. There was nothing to look forward to each day except more of the same, the struggles battering body, mind and spirit. These settlers have all my admiration and respect. Especially the women who followed their men and given little say in the situation. They were truly hardy souls. Would you have kept going or turned around? I’d like to think I had what it took, but I really think I would’ve been one of those who turned back. It’s that time of year! I just love Christmas movies. I love cuddling underneath a warm throw with a cup of hot tea or coffee and immersing myself in Christmas stories. I started this already with the “3 Godfathers” which I’ve ordered from Amazon but here’s a list of some I’ve watched and others that came recommended. I’m sure you have your favorites too. I’ll begin with An Old-Fashioned Thanksgiving that’s set around 1880. I’ve watched this many times. It’s about a widowed mother and her three children and they’re struggling to survive. The mother’s estranged wealthy mother arrives for a visit and they heal the rift in their family. Jacqueline Bisset and Helene Joy star in this. The same family continues in An Old-Fashioned Christmas. The wealthy grandmother has taken the oldest granddaughter who’s a writer to Paris, trying to help get her book published. A secret is revealed, a dream comes true, and a family is reunited. I found The Christmas Candle last year and I bought it. It’s set in 1890 and legend has it that in this town once every 25 years an angel visits the village candlemaker and touches one single candle. Whoever lights the Christmas candle will receive a miracle on Christmas Day. Chaos ensues when the candle gets lost. I loved this story. Walton’s The Homecoming is one I’ve watched over and over. I love the simple times and the simple things they cherish. The Walton dad has been away working because he couldn’t find a job where they lived. He struggles to get home on Christmas Eve. The family hears there’s been a bus accident that left people dead and fear the worst. They send the oldest son, John Boy, out to try to find him. This is set during the American Depression. My Christmas Soldier is set during WWII in a small Georgia town. A group of German POWs have been shipped there. Starving, the German soldiers wait shivering in a boxcar and a young American boy manages to steal some sandwiches and cocoa cocoa for them. One of the soldiers gives the boy his cross medal as thanks and the boy gives him a toy soldier given to him by his father. This is a powerful movie. The soldiers begin singing “Silent Night” in German and the Americans hear them and sing the song in English. A bridge of sorts between two warring nations. I saw this years ago and haven’t forgotten it. The Christmas Shoes always fills my heart to the brim. A workaholic attorney (Rob Lowe) crosses paths with a young boy on Christmas Eve and discovers the boy wants to buy his mother a pair of red dancing shoes so his mother can dance with his father one more time before she dies. I always bawl like a baby every time I watch this but that doesn’t stop me from putting it on again and again. Christmas in Canaan is set in rural Texas 1964 when race relations run high and features Billy Ray Cyrus. Two 10 year old boys from different backgrounds test their right to be friends. It’s been a few years since I’ve seen this but I’d love to find it again. The theme is that only the memories you make determine your happiness and peace in life. Journey Back to Christmas is very different. It opens during WWII with a nurse who’s just been notified her husband is missing in action. Distraught, she leaves work and gets struck by lightning on the way home. She wakes up in 2015 and everyone thinks her clothes are a costume. A family takes her in and eventually they learn what’s happened. She tries to recreate the lightning strike that sent her forward in time so she can learn what happened to her husband. This was very good and well done. The Christmas Card is a modern day story about a soldier in Afghanistan who receives a card from a woman in California. He keeps the card with him through every mission and it gives him strength to survive. When he gets out, he goes to the town to find her and thank her for sending the Christmas card. This story will make you cry. In A Christmas Memory, a 7 year old boy lives with his spinster aunt and their relationship is truly beautiful. Patty Duke stars as a sister of the aunt and has a learning disability that makes her childlike which endears her to the boy. It’s set deep South during the Depression and is truly memorable. Patty Duke’s performance is incredible. Here are some that have been recommended that I intend to watch this year if I can find them on Netflix or Amazon Prime. Okay, it’s your turn. Tell me some of your favorites. We’ll share and all come out with more Christmas spirit than we can shake a stick at. There’s a town just a short distance south of where I live in Amarillo called Hale Center. 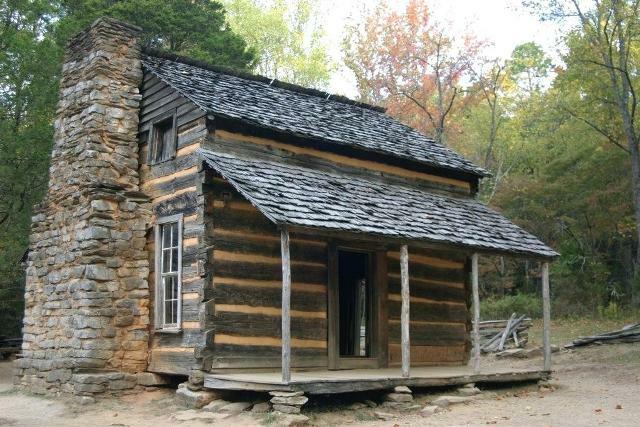 It’s the home of an early rancher by the name of James Franklin Norfleet. He has such an amazing story that I had to share it. James was born in 1865 to a Texas Ranger father and a mother who would go on to birth five more children. At age 14, James joined a buffalo hunt that brought him up to the Texas Panhandle. After that he worked as a cowboy and drover for various ranches until he could make enough money to start his own ranch. When he was 29, he fell head-over-heels in love and married Mattie Eliza Hudgins. They had four children of which only two lived to adulthood. One day on a business venture to Fort Worth, Texas in 1919, Norfleet ran into a group of scam artists who took him for $45,000 and promptly left the country. Mattie told James to “Go get those miserable crooks and make them pay. But bring them in alive. Any man can kill but it’s a brave man who can capture the criminals and bring them to justice.” She told him she’d manage the ranch and keep him in expense money. So that’s exactly what James set out to do. Using his expert tracking skills, he began a one-man manhunt. He caught up to three of the swindlers in Los Angeles within a few weeks. He located another one in Salt Lake City and two more in Georgia. At one point, one of the men turned himself in because he couldn’t take being hunted any longer. In all he spent five years and $75,000 and traveled 30,000 miles across two continents chasing the scam artists. He single-handedly captured and turned them in to the authorities without any assistance from the federal government. His fame quickly spread and he was besieged with requests to hunt down other criminals. And so he began an unlikely career in law enforcement. Between 1919 and 1935, he brought in over 100 wanted men. And, although he was quick on the draw and dead shot with a pistol, he never killed anyone. James Norfleet earned the nickname “Little Tiger” because of his short stature (5’5″) and uncanny ability to stalk a fugitive. He never lost a fresh trail. The FBI was even impressed and awarded him a special certificate for his services. His exploits became known far and wide. He was the subject of several magazine articles and a full-length book that was published in 1924. Actor Wallace Berry once portrayed him in a radio drama. During the Depression, the country desperately needed a hero and Norfleet fit the bill. His ranch near Hale Center took a hit though with him being gone so long and he wound up having to sell it. James and Mattie lived quietly the rest of their days on a small farm. I’m sure they spent many an hour reliving James’s exciting adventures. James died at the age of 102 and Mattie lived to 101. This true story just proves that it doesn’t pay to mess with a determined cowboy. Would you have gone to such lengths to get back stolen money? Especially during the Depression? A Christmas Movie and Canned Milk? You Bet’cha. When this subject came to mind for a blog, I remembered watching a John Wayne western Christmas movie filmed in 1948 called “3 Godfathers.” It co-starred John Wayne and Ward Bond. In the movie John Wayne and his two compadres robbed a bank and were on the run, chased by Ward Bond, the marshal. They come across a wagon train that was attacked. All were killed except for a woman who’d just given birth to a baby boy. When the woman dies, John Wayne and his friends vow to take care of the child and see it safely across the desert to New Jerusalem. They find a few tins of Carnation milk in the wagon and make the baby’s bottles with that. They got so attached to the baby and fought over who’s turn it was to take care of him. It’s an excellent Christmas movie of redemption. I still remember the story even though I was pretty young when I watched it. Canned milk would’ve been available in the Old West. It was among the first to be widely used. In 1856, Gail Borden, an American, successfully produced sweetened condensed milk in cans for the first time and was granted a patent. With financial support, he launched the New York Condensed Milk Company in 1857. During the Civil War it was introduced on a large scale. But to my surprise, canned fruits, vegetables, and some fish and meats were produced in 1812 by a small plant in New York. They were sold in hermetically sealed containers, not tins. The cans were heavy and difficult to open. At first the only way to open them was with a hammer and chisel. The first can opener came out in 1858 and it was resembled a bayonet and was dangerous to use. I can only imagine how many accidents happened! In 1870 a safer model was introduced however which was a godsend. Through my research I learned that Del Monte didn’t produce its own brand of peaches until 1892. And Dole didn’t begin until after the turn of the century. In 1869, Joseph Campbell and Abraham Anderson started the Anderson & Campbell Preserve Company in New Jersey. But Joseph bought Abraham out and the Campbell’s Soup Company was born. They expanded the business to produce ketchup, mustard, and other sauces in addition to soups. And like they say….the rest is history. I doubt you can go into any kitchen in the U.S. today and not find Campbell’s soup. This is just a glance at a few of the things a pioneer might’ve packed in his wagon when he headed west. I found this information very surprising. We couldn’t live without canned foods in this day and time. What are your thoughts? How many of you use Campbell’s soup to cook with? Here’s the official movie trailer if you’d like to watch it. Have you ever been wanting to do something for a long time and finally got a chance? I had been itching to visit the Fort Worth Stockyards since forever so Friday a week ago I hooked up with my sister, Jan, and we did it. Some things didn’t go quite right. For instance, the Stonehouse where we stayed didn’t quite measure up for two old ladies. It was probably a boardinghouse at one time and consisted of only 8 rooms and the floors were wood and creaky. Our room was downstairs, right next to the front door. Mistake #1. The walls were paper thin and we heard everyone going in and out. Mistake #2. The Stonehouse was right beside the Whiskey Girl Saloon. (Re-read my note about the thin walls and no insulation) We heard every song they played. In fact, it sounded like were there in the saloon until it closed at 1:00. Then two men had a fight at our bedroom window and we heard all that. At 4:00 a group of men in cowboy boots stomped in. They were hollering and carrying on in the hallway until well after 5:00. So, that started us off and we moved over to the Hampton Inn. We did a ghost tour and that would’ve been more fun if I hadn’t driven 9 hours. We didn’t see any ghosts but I know they’re there. I did feel some restless spirits. Or maybe it was the two men fighting. Ha! Here are some pictures for you to enjoy. I apologize that some are not very clear. I had to put the zoom on at the rodeo because we were too far away. Click on any of these pictures to make them larger. Picture 2 is the Longhorn Saloon. Very old. Picture 3 is the White Elephant Saloon that Luke Short owned. He had a gunfight with Jim Courtright right outside and killed him. They’ve covered the ceiling and part of the walls with cowboy hats. That was fun to see. Jan and I did the Stagecoach ride. Loved it! Then we went to visit the historic Oakwood Cemetery. Luke Short’s grave is on the left and Courtright’s on the right. Bitter enemies. Click to enlarge. 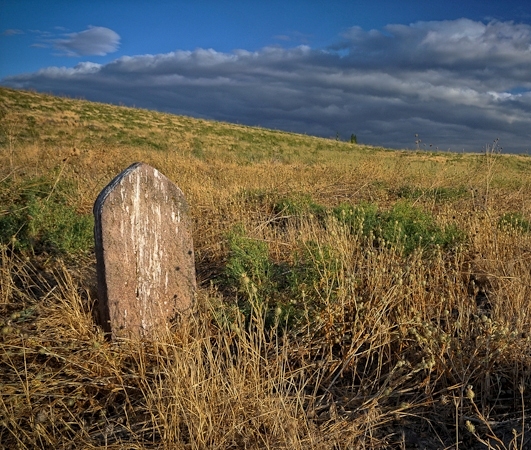 And then I saw this strange tombstone of a sheriff back in the 1800s. So that’s about it except the pictures of Billy Bob’s and they didn’t turn out very good. I hope I didn’t bore you. It’s rare that I get away just for fun and spending the weekend with my sister made it very special. We certainly lived it up.